Organic and chicken. Those two description makes me not want to eat bak kut teh. First of all, bak kut teh should come with plenty of pork ribs and three-layered pork belly. Substituting it with chicken is already bad…but making it organic? Even worse. Or so I thought. 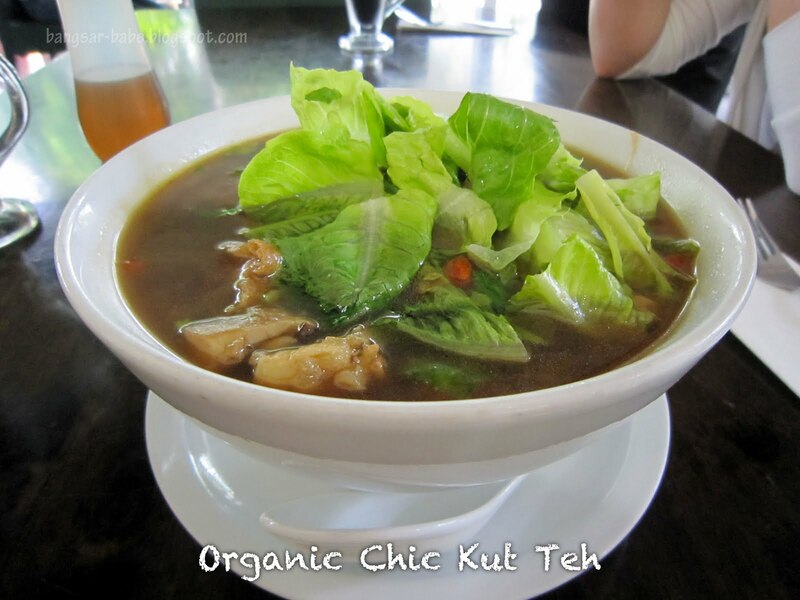 But the organic chic kut teh at Country Farms Organic was actually pretty decent. I ordered it because my regular noodles were not available, and it was a pleasant surprise for me. While it’s nothing like the real deal, the soup was thick, herbal-ly and aromatic. 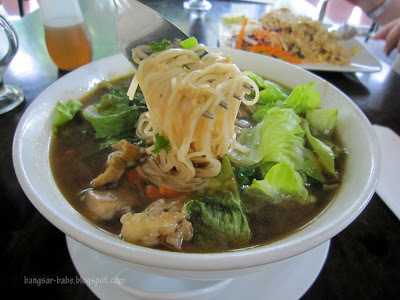 You get to choose between brown rice mee hoon or mee suah to go with the chic kut teh. I chose mee suah. Verdict: A decent alternative to pork bak kut teh. CKT, in my opinion … is like those fake vegetarian meat … what's the point? if you wanna eat meat then eat meat, if you wanna be a vegetarian then be a proud one. I believe that Country Farms uses the real thing. Anyway, Bangsar-Babe, may I know how much it cost for the CKT? Michelle – I have to ask…what CAN'T you cook?!! Seems like you can make anything! Sean – Yeah…sadly no good ones around. Leonardo's got la…but it's not authentic. Waverly – It was RM15.90 inclusive of a drink.